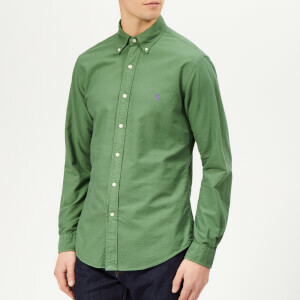 Navy Polo Ralph Lauren shirt in fine-wale corduroy. 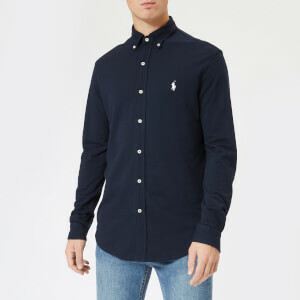 Cut for a slim fit, the cord shirt is designed with a button-down collar, fitted sleeves and a signature embroidered pony logo on the left chest. A split back yoke with a box pleat offers a comfortable fit and an increased range of motion. 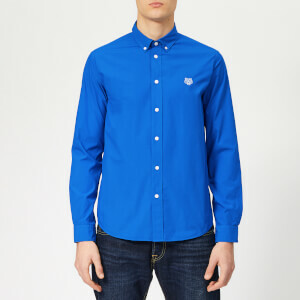 The button-down shirt is finished with buttoned barrel cuffs and a curved hem.